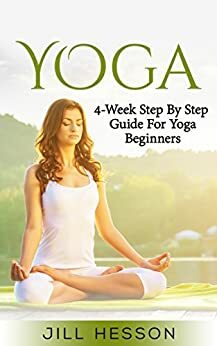 Yoga: 4-Week Step By Step Guide for Beginners - Kindle edition by Jill Hesson. Health, Fitness & Dieting Kindle eBooks @ Amazon.com. I received this book for an honest and unbiased review. I have made several attempts to get into yoga over the years. I had always heard how great it was for your balance especially. At 13 I experienced a brain tumor and after surgery had to relearn walking. My balance was a mess! I always found the videos went along to fast. I always became frustrated and quit. I tried books, but they usually didn't explain things well enough. I like to envision myself doing the pose from begging to end before I attempt it.A few years back,I tore my right ACL. Before I was walking well again, I tore ligaments on the left. Going to therapy and still trying to find that one yoga tutorial that pulls it all together for me. This book did.I really liked how it explained how long to hold a pose to benefit from it as wel as breathing. When I applied what I was getting from this book I felt great. Like I had actually done something. My daughter came over complaining about her back.I showed her a simple standing pose, but knew that I would have to tell her the rest because I am lacking the ballance.I just knew that a carpet burn to the face was in my future. To my surprise, I did it! I love this book, it has helped me so much, I am now doing this everyday and will not quitting this time. 5.0 out of 5 starsFixed my Posture issues. The author got me to share my thoughts on the book. Below is my unbiased thoughts, this book is very good for a yoga beginner like myself because I have no prior knowledge on yoga. I have heard many wonderful things about yoga but just couldn't find the time to learn it until I bought this book. I used to have a bit of posture problem but it seems to have become better after just 1 week of trying out the exercises depicted inside. This is something I can definitely recommend for fellow yoga beginners. Since my initial introduction to Yoga over 40 years ago, I have had occasion to read a fair bit about it, and I try to practice the stretches that help me stay supple while I do my cardio routine on a machine. This book is aimed at beginners and is organized as a step-by-step guide, divided into a four-week plan. At the start the author provides background and context, but keeping everything as simple and easy to follow as possible. She stresses the importance of relaxation, deep breathing and proper preparation in a suitably calm spot. The Yoga positions are illustrated with photos, often more than one to show the full movement, and with comprehensive explanations. As with similar guides, the photos are invaluable because, for me at least, the descriptions can make my head spin. They are of good enough quality and fairly crisp, but are not clickable or expandable. The poses are, obviously, not easy to implement, unless you are already fairly flexible, although the author insists that Yoga can benefit anyone. That is true, but one has to accept that, for most of the asanas, a lot of gradual and patient practice will be needed to approximate the perfect execution depicted in the photos. The introduction of basic poses, divided into four weeks, seems a little random, and raises a slight problem when a new asana is described as being a variation of another pose which has not yet been shown. However, by providing links when necessary, the author directs us to the missing information. Despite the flaws I have mentioned, I like this book well enough. It gives a concise and useful presentation of a huge subject, which can serve as an introduction to further study, or just be used as a portable reference to the correct execution of the poses that are described. Not worth it. This a very small pamphlet of 44 pages big print. 5.0 out of 5 starsYoga understandable and simple and smart to start off. Not being into Yoga but doing Meditation Pilaties, Hip hop, Zumba and Tebo and iving an holistic life I was always drawn to Yoga. And I thank the author taking the time to write this book in a simple and understandable way. I did take the book very seriously from the start to the end there is no dull moment in this book and a lot to learn. Experience your body changing and you feeling better each day. I did make posters of all the Asanas and put them up for me in my studio to follow it needs practice and concentration but is worth it. This book opens new doors to me and will make this one of my daily routines. Looking forward to your next book! After spinal surgery I need to stretch more. My neurosurgeon recommended yoga. This book is a great primer for newbies like myself. This is a wonderful book to inspire the beginning yoga student. 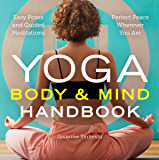 when I was given the opportunity to read this book for a review I was thrilled now that I have read this book I am still thrilled and more knowledgeable about yoga. It is a great read that should not be passed up on.I received this product at a discount in exchange for my honest, unbiased review. All opinions are my own and they are not influenced by anyone but myself.